We find that the best way for us to keep our dogs fit is to work them in harness, we train up to four times a week in the winter months with less training in the summer due to the warm weather. Our dogs are mainly of Anadyr background with a little bit of Seppala added, so quite strong working lines. 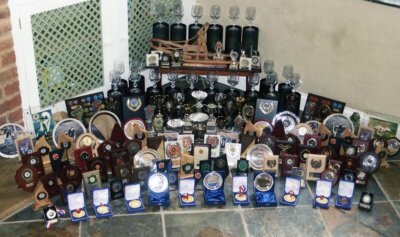 Over the years we've had a fair amount of success in racing including a number of S.H.C.G.B wins and eight Gold Medals in the B.S.H.R.A Championships. Over the years we have raced mostly in the 2 & 3 dog classes, at first this was due to limited dog numbers and more recently due to limited training distances in our area. We refuse to race or train on poor quality trails as we believe this can be detrimental to not only the dogs feet but also their joints (especially their shoulders). Running dogs on hard stoney surfaces can lead to them shortening their stride, when running on softer surfaces eg. hard packed grassy trails they learn to extend their stride and therefore cover the ground more efficiently using less strides and ultimately less energy.